Barefoot Angie Bee: Jessica's Gifts Pendant giveaway! Barefooters will like this one! Jessica's Gifts Pendant giveaway! Barefooters will like this one! Giveaway Closed thanks for participating! Twenty Six Point Two Pendant Giveaway! I recently won this sweet pendant from Courtney at RunCourtneyRun! It was perfect timing since I had just ran the Des Moines marathon barefoot. 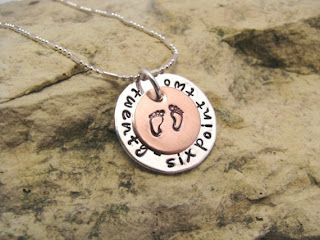 Of course I would choose this particular pendant with the two feet stamped in copper!! I really like the font of the lettering as well. I waited patiently for the pendant to arrive so I could wear it around and proudly smuggly answer the questions about its meaning and share the love gloat with those that immediately recognize the distance. I was not in any way worried or upset when it didn't show up. Since I won the giveaway I really can't be a jerk about getting really cool free stuff even if it was lost in the mail! I figured it would all work out. Time goes by and I get an email saying that Jessica from Jessica's gifts , was sending another one since the first was lost. All said and done I have two sweet pendants from Jessica's gifts. The second one arrived two days after the first and now I have an extra one that Jessica agreed to let me share with one of you! It did all work out. Barefoot runners and runners in general will love this sterling silver stamped pendant with a copper stamped set of feet that take you the distance. Whether you have made it 26.2 or are still aspiring to it, this pendant will remind you of what you are capable of. Here are the rules, same as usual for the most part with the first being mandatory and make sure to post a separate comment for each thing that you choose to do. 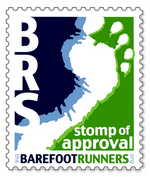 Join the Barefoot Runners Society and check out your local chapter on the site as well as the forums. There is some kooky barefootery and fun to be had with the very mellow bunch that hang out there. facebook, tweet, mass email, sky writing ect. The silver disk on this piece is 3/4" in diameter and the small copper disk is 1/2". The font used in the one pictured is "designer"
Note that the pendant does not come with the chain although she has chains available at her shop. OH mY Goodness....this is the best best giveaway I've ever seen and I love it so much that I stopped all the work I was doing on my christmas photo books to enter this right away. I loooooove her work! Okay, enough, I guess I can send you a personal e-mail to rant. Liked barefoot runners society on fb. oh, going to tell her what I like from her etsty page. Not so sure I want to facebook this giveaway really...I mean doesn't that decrease my chances of winning?! :) And I really want to win. REALLY! I love it! Beautiful pendant! I'm a follower! I like Jessica's Gifts on FB and wrote a comment but it's not showing up on her wall?? Giveaway posted in the sidebar of my blog. posted a link on my blog to this giveaway. I am your follower...but I have hardly run enough barefoot miles to quailify as a barefoot runner...tabbler maybe but not quite a barefoot runner...yet. I already like jessica's gifts on FB. She made me my awesome 100 days of running charms...come to think of it, now I need a 200 days of running charm! I like the Barefoot Runners Society on facebook. Wow, those look pretty cute. The feet remind me of these little plastic things we got when I was a kid for completing miles to build up to the Seattle Kid's Marathon. 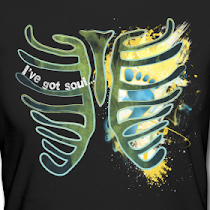 LIKED Barefoot Runner's Society on FB! Thank you for hosting this giveaway. What gorgeous products! I got your mail saying I should post again as you were using random.org.. So I already have one post because I follow your blog and another because I like BRS on FB. Here I am AGAIN posting because I am a member of BRS.. I won't be cheeky and post again... There are shed load of BRS pages on FB and I think I like them all.. If I posted a response for everyone of those I would be here all night! I am a FB fan of Jessica's Gifts. I'd like most any of them, but love the "faith" necklace best. I like Jessica's Gifts on Facebook. I already have a list of things she knows I want. Follow Barefoot Running Society on fcebook. You bet I am a follower! !